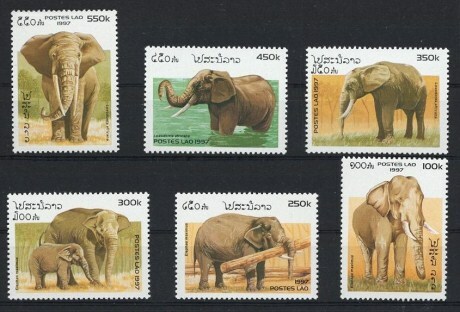 Elephants Lao Stamp issued on 12 June 1997. I have this set and some others. Dount know much about them. Would like some input. thank you cv. The only information I have is from a Lao Stamps Catalogue which is posted above.